Fall is a busy time at Great Lengths. We’re introducing new colours, new products, and new stylists. Read on for details on all the latest updates. You asked for it, you got it! 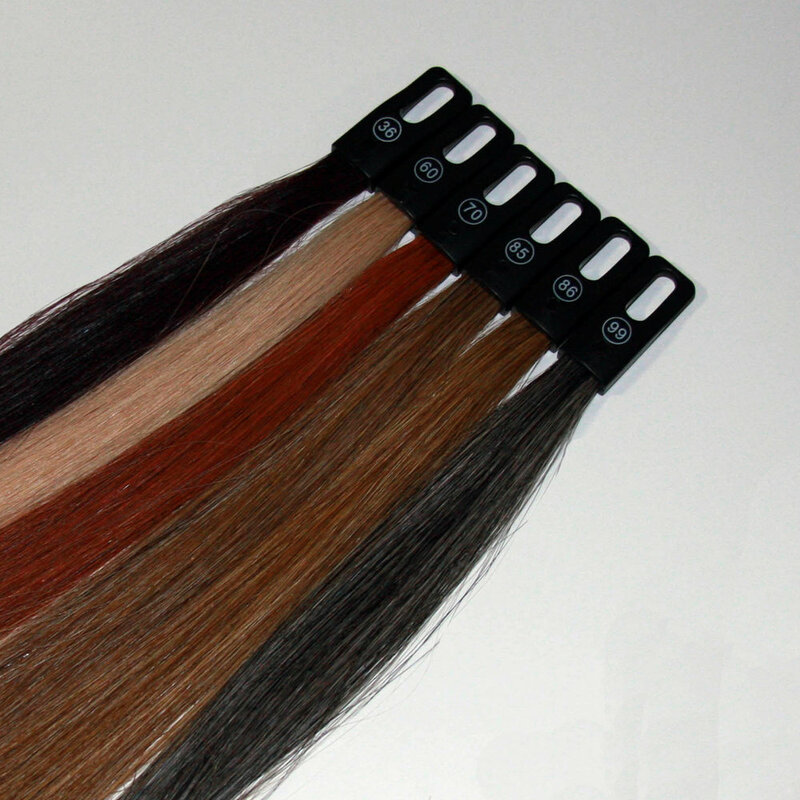 We are pleased to introduce seven new shades of Great Lengths. These new shades include beautifully blended blonde and brown tones, captivating coppers and rich, cool reds, highlighted charcoal gray, and the avant-garde fashion strands, “mother-of-pearl”. Mother-of-pearl has an enchanting brilliance, in line with latest trends. It integrates pastel shades of silver-grey and pink for bright hair that shines with unpredictable glimmers. In addition to these seven new shades, Great Lengths has also recently updated some of their existing red and copper tones. These revamped colours are more blended, bright and vibrant, giving them a more modern look. The latest trends in coppers and reds! The perfect companion for GL Tapes; the GL Hair Caddy will ease the reinstallation process. The caddy holds the client’s extensions in their specific return order. It also makes washing, drying and styling the GL Tapes a seamless task, saving busy stylists a great deal of valuable time. A very welcome addition to the Great Lengths line of products! Welcome New Artists! We’d like to extend a very warm welcome to our recently certified stylists. Welcome to the Great Lengths network, we can’t wait to see what you do! Certified Great Lengths artists are welcome to join any scheduled Great Lengths Education Seminar (provided there is space available in the class) to update and refresh their hair extension skills. The educational format continues to expand and evolve and a refresher is a great way to keep up with current trends and offerings. Any Great Lengths certified professional who wishes to attend a seminar for the purposes of updating their skills or re-training, may do so free of charge. Training materials at minimal cost must be purchased beforehand. Please contact the Great Lengths office to confirm a space.